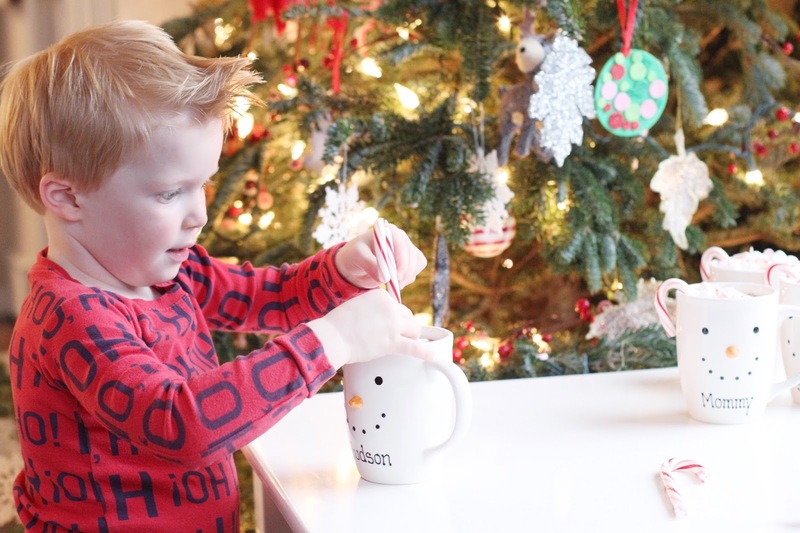 As part of our countdown to Christmas, Hudson and I made peppermint hot chocolate! He LOVED it….and I did too! Was it a made-from-scratch pinterest recipe? No. It was just a store bought mix + some marshmallows + a candy cane. But in this season of our lives making everything perfect doesn’t really matter. Memories were made….that’s the important part, right? And it was SO yummy. In fact, we are probably making it again today. I just love this time of year. 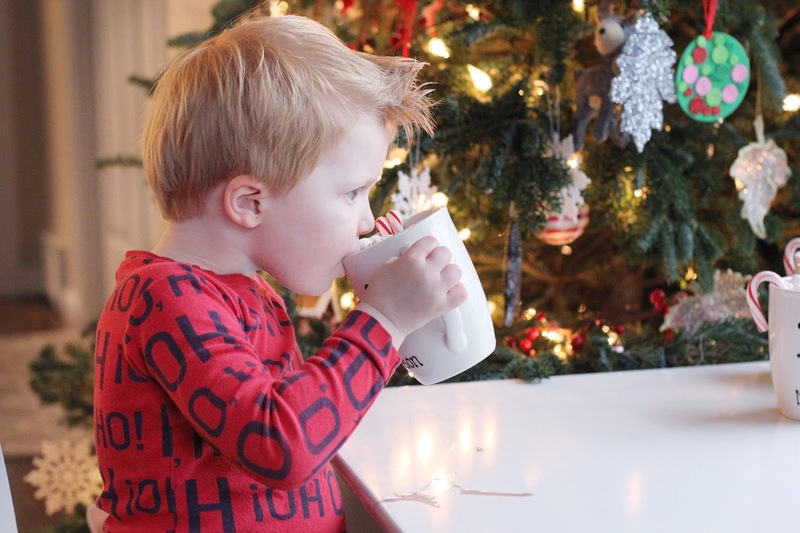 Taking some time to sip hot chocolate by the Christmas tree is my favorite. 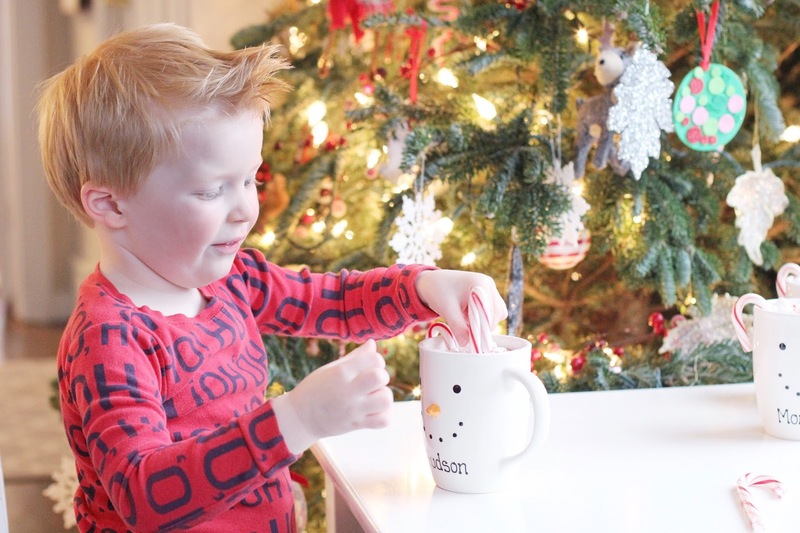 Hudson especially loved drinking his hot chocolate out of his snowman mug! Of course everyone got a personalized mug, even Sadie. 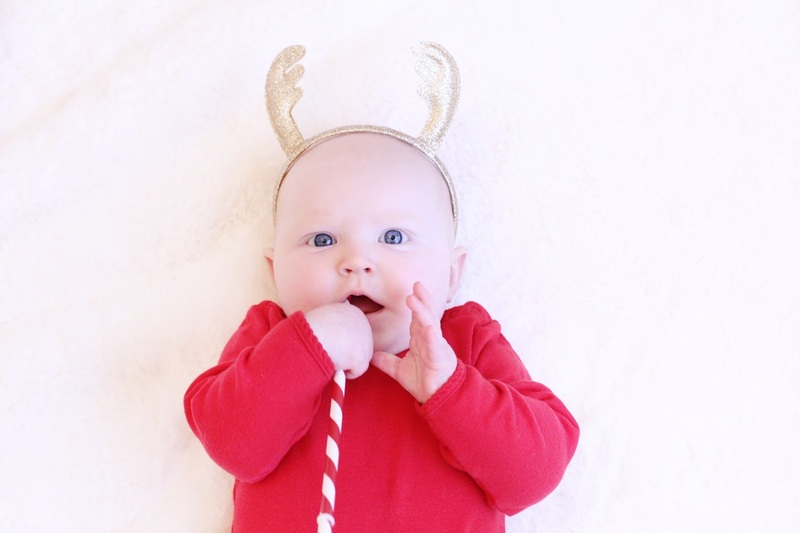 But no hot chocolate for this little reindeer this year. Maybe next year! She got a peppermint striped straw to chew on, so she didn’t seem to mind. 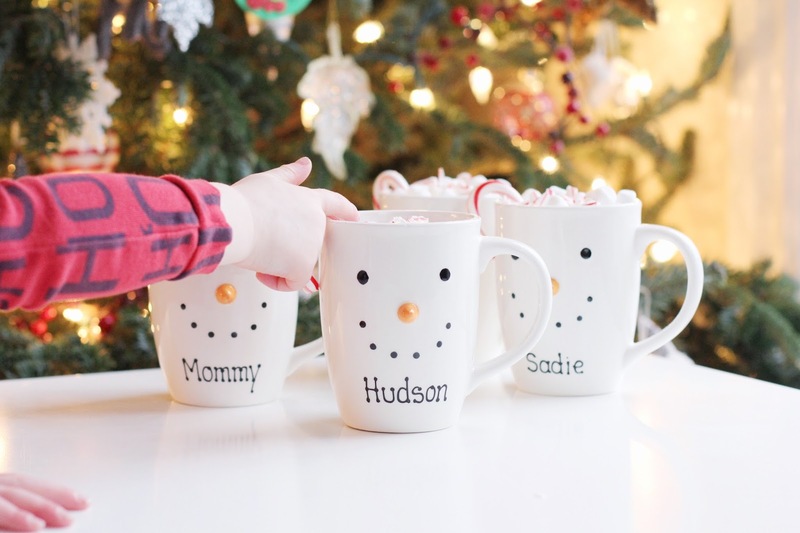 Snowman Mugs from Personal Creations found here. They are so cute and so fun! Discounts on your Personal Creations order can be found here. 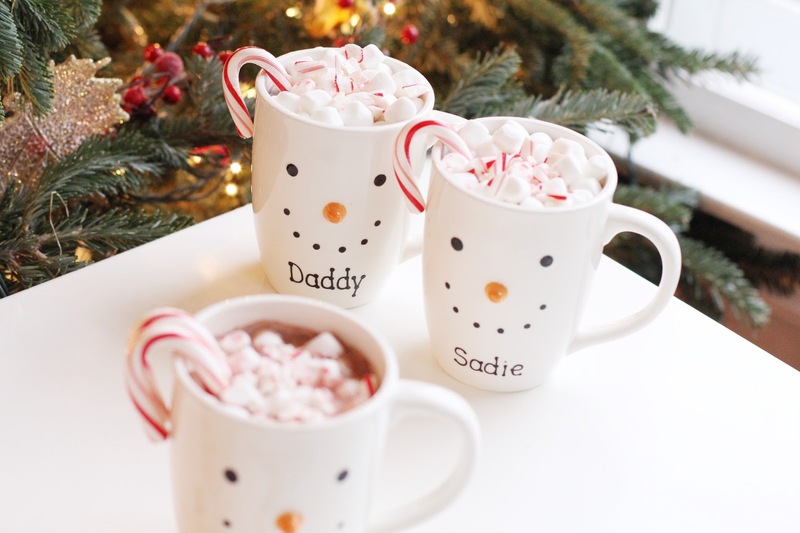 Yummy, this looks so delicious and a festive family moment! So fun! 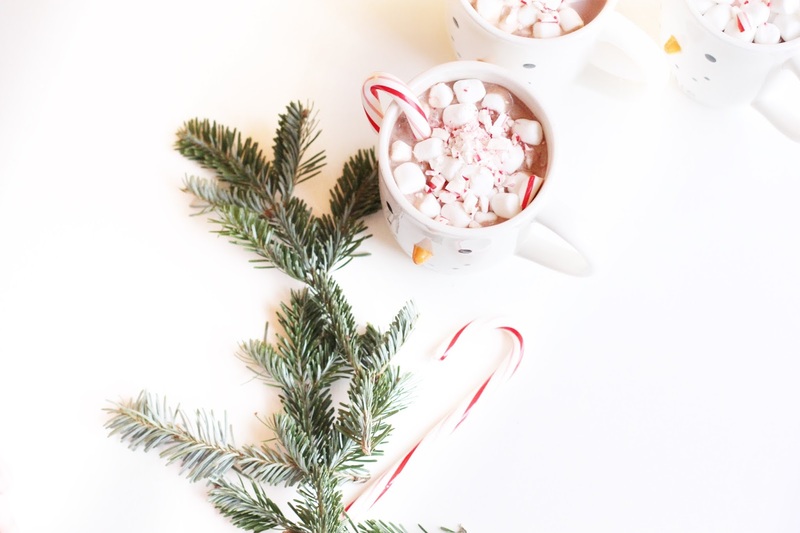 Drink hot chocolate with marshmallows is on our advent calendar for this weekend! 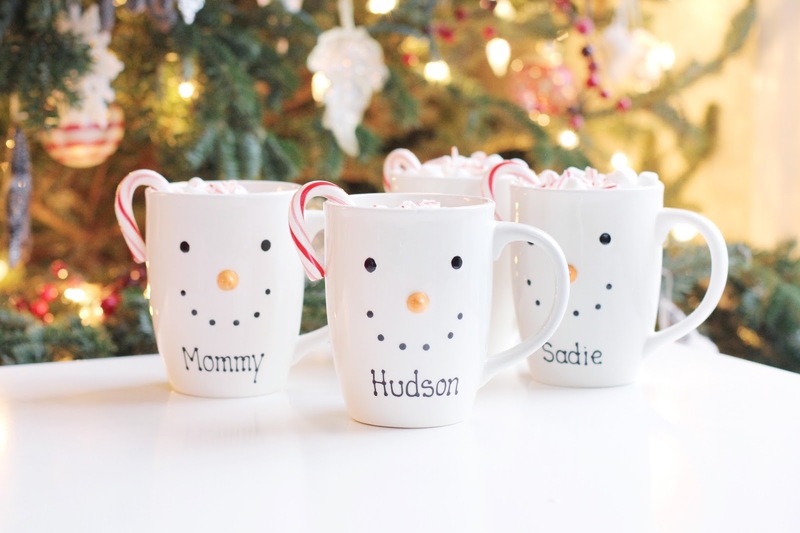 Love the photos and the adorable mugs! Gosh, this looks ever so delicious!